Most of this post takes place in Azerbaijan, but there are remnants of Georgia. 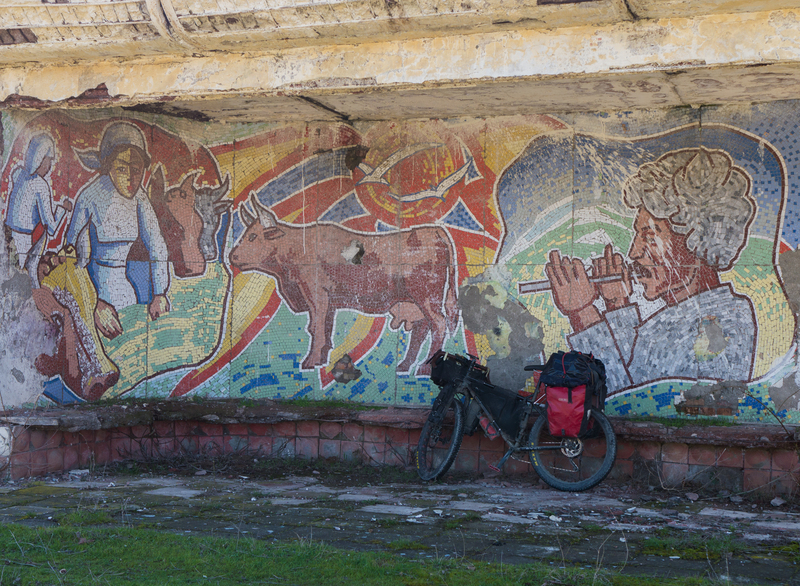 I’ve reached Baku, on the edge of the Caspian, after 10 straight days of wild camping through the last bits of the Republic of Georgia and Azerbaijan. This is a bleak time of year in which to cycle these countries. The trees have lost their leaves, it is cold and often rainy or snowy, and the people in the region are looking forward to summer and the tourist season. Cows and sheep look a little haggard. Nevertheless, I found these last 10 days of cycling to be some of the more enjoyable I have had. Knowing what is coming up, the deserts of Kazakhstan and Uzbekistan, I realize that I may soon pine for the long days full of markets, fruit, and an abundance of dairy products. I imagine these regions would have more pleasant weather in the summer, but at least in winter I can store refrigerated meats and fruit in my bag and have them stay cold through the day. There’s nothing quite like camping out on a hill in Azerbaijan watching Azeri shepherds manage their flock, with a liter of irradiated milk close at hand. 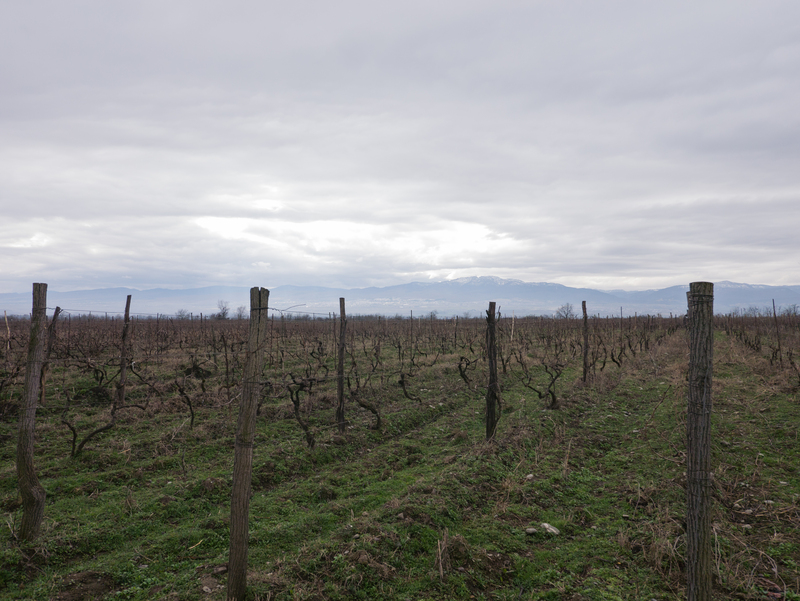 Georgian vineyards. Georgian wine in a corked glass bottle is good. Georgian wine in a plastic 2L bottle made in someone’s backyard is usually trash. Georgia was a beautiful, pleasant country. But I can’t quite say the same for its drivers. 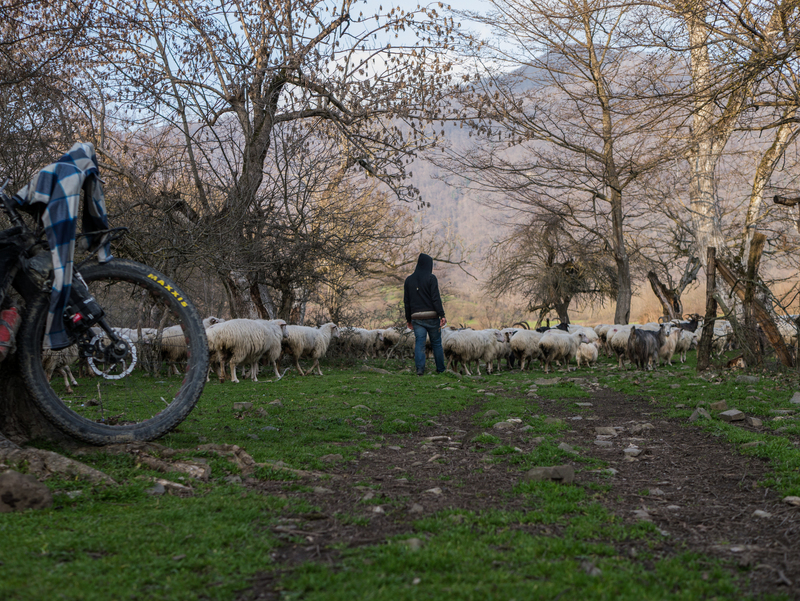 I cycled down the Kakheti valley past closed vineyards and crops put to bed for the winter, dodging Georgian drivers and dogs on my way to the Azeri border. Somewhere along the way I realized that I had forgotten to apply for my Azeri visa in Gudauri. This was sort of according to plan, because I had always planned to apply from the road. 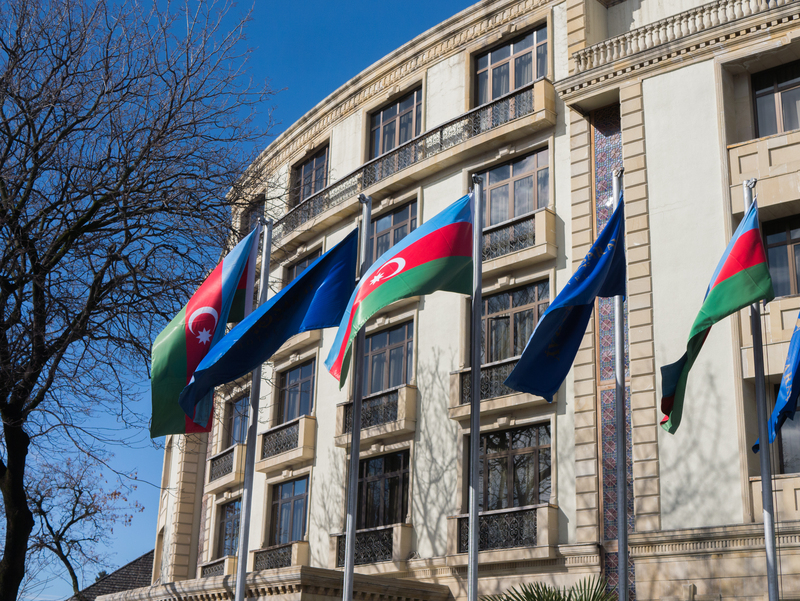 Azerbaijan has an e-visa site which manages visa applications, and in a matter of hours you can have your own visa, valid for 30 days, delivered by e-mail. For those coming through this area, it is entirely possible to get this visa this way. The tourist information center in Kvareli even has a printer that you can use to print it out. 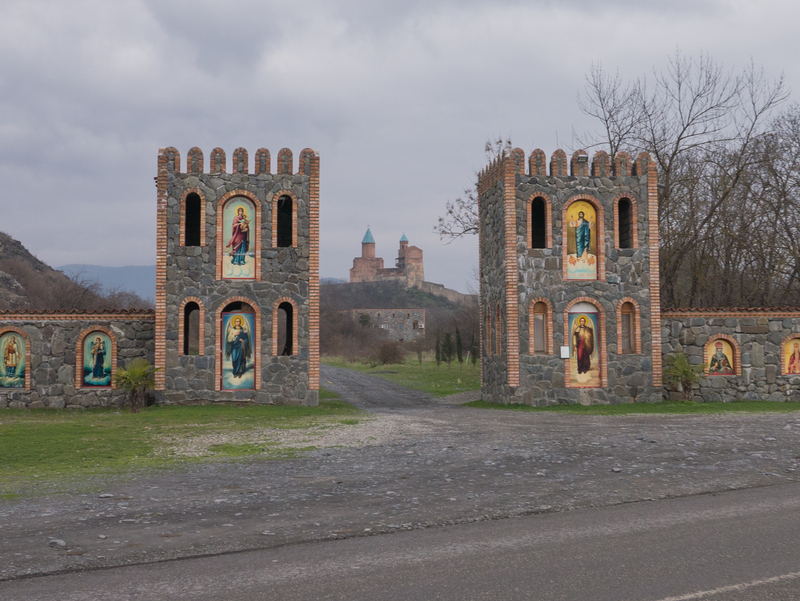 With my visa in hand, I proceeded to the Lagodekhi border, in Northeast Georgia, where I was surprised to find, to be honest, a very chilled out border without the standard trappings of other borders I’ve crossed. 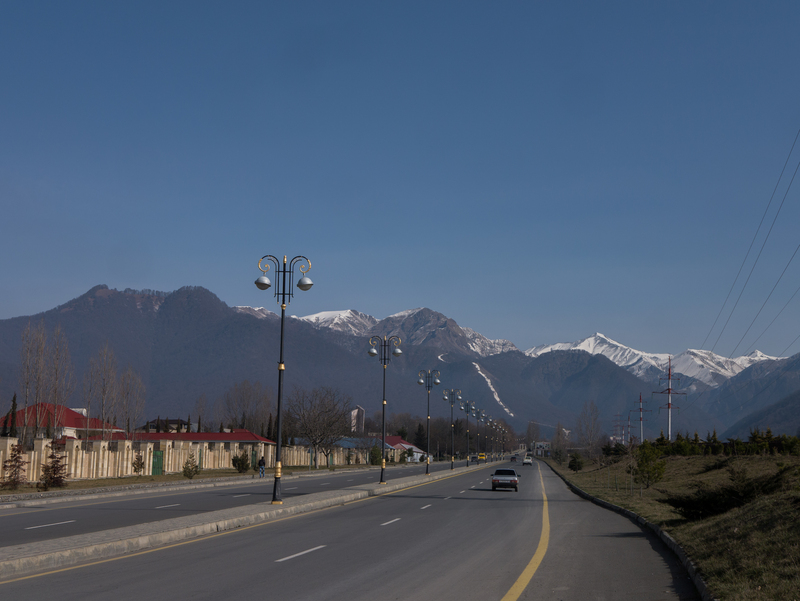 On the Georgian side, there are money exchange stands and a market or two, but on the Azeri side there is nothing until the town of Balaken a few kms after the border. Just a wide, unpaved road from the border, with almost no traffic. No awful border town. 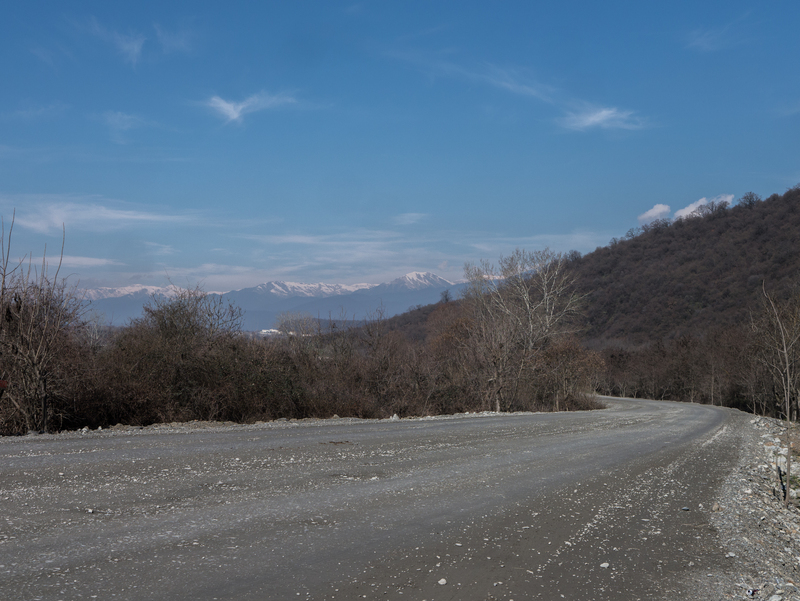 After the hectic pace of Georgia’s roads, the crossing into Azerbaijan was a revelation. 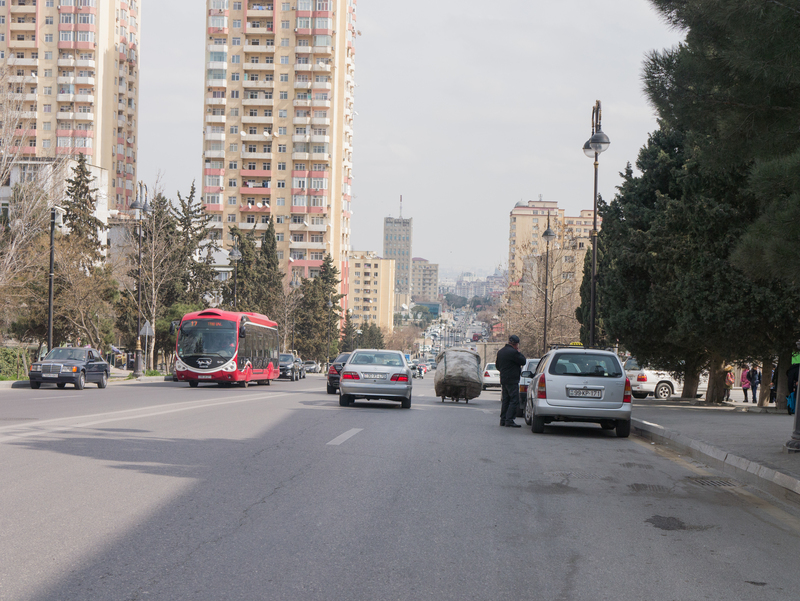 Traffic was 90% old Ladas, moving slowly, and people were inclined to give me my space. Some of my favorite campsites came on this stretch. Remember to register with the Azeri police if you are planning to be here for more than 10 days. Most hotels will do it for you, but I wasn’t planning on staying in a hotel, so I went to a migration and registration building in Balaken, where registration took about 10 minutes and 5 manat. The building may be hard to find. It is on the main road catty-corner to a big blue bank building, on the left side of the road. A small blue sign that I should have taken a picture of, at the second traffic light into town. Some have horror stories about this registration process, but this office makes it incredibly easy. They are closed from 1-2pm for lunch, but it’s unquestionably the easiest option. The nature of towns changed as well from Georgia to Azerbaijan, as Azerbaijan’s society strongly resembles Turkey. Secular with a side of authoritarianism, which contrasts with Georgia’s strong love of all things Jesus. The Azeri flag carries a crescent and a star, but the Soviet and Turkic influence are very heavily felt. 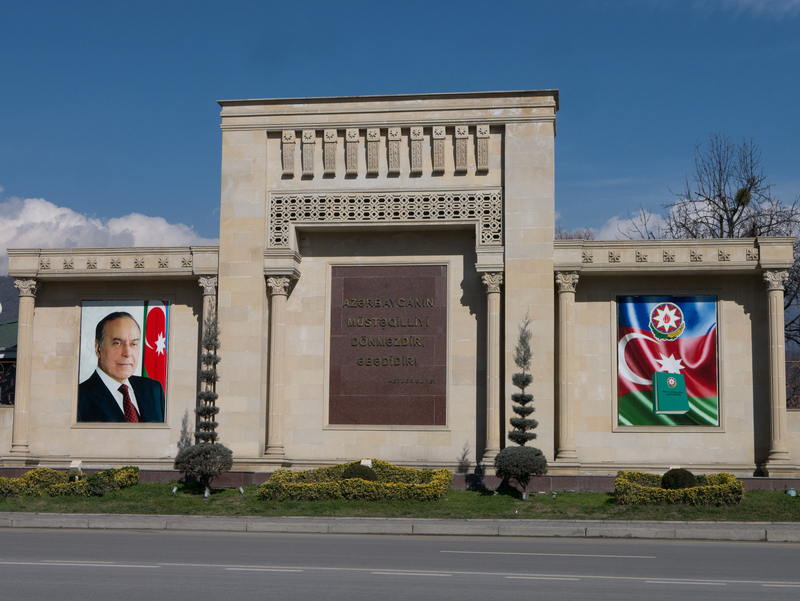 Azerbaijani architecture, cultural priorities, and politics in a single picture. I love Azerbaijan. I was not expecting to like it as much as I did, and it was such a pleasant surprise. 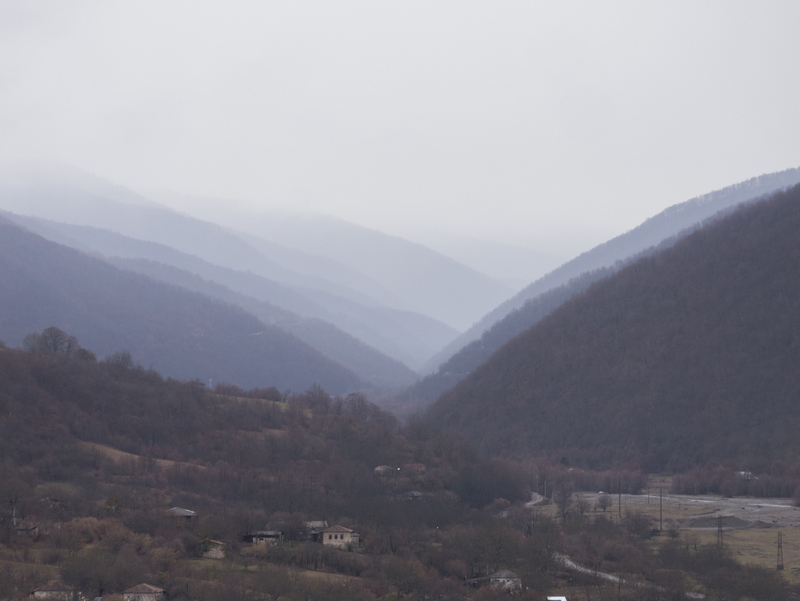 I found ample camping opportunities outside of cities along the edge of the Caucasus, and each night I’d fall asleep to the sounds of crying jackals (Shoutout to new Oscar winner Allison Janney), boisterous Azeri dudes rolling up on me in old Ladas, and on one night, the beating drums of a military barracks a short ways away. The people were incredibly friendly, and amenable to my presence in their country. 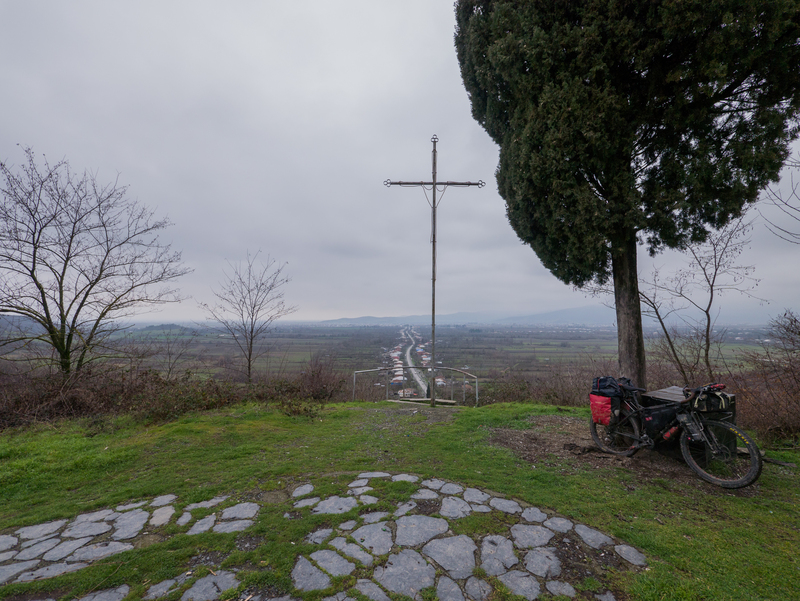 There have been an astounding number of ‘unexpectedly pleasant moments’, like the first few kms after the Lagodekhi border. Those times where it’s sunny, there’s no crazy traffic, no people hounding you, and you’ve got all the food and water you need, and life is just good. 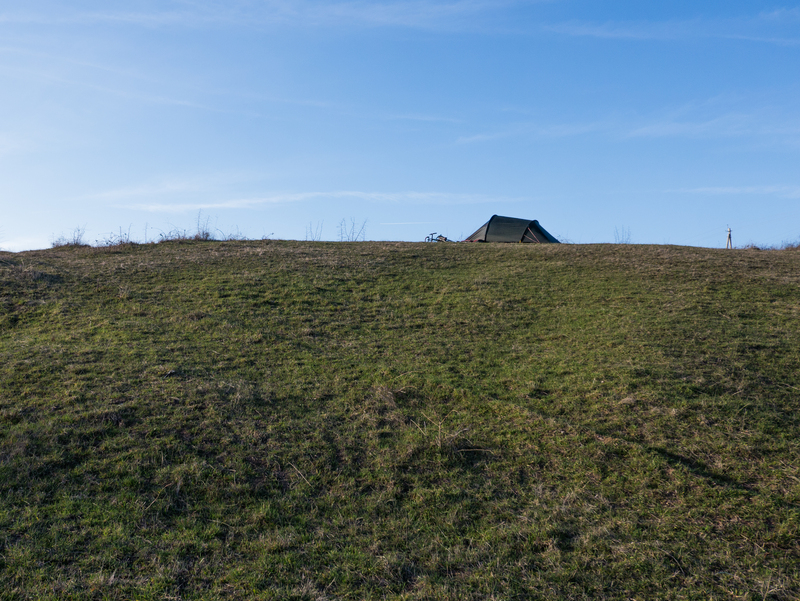 Wild camping used to be a big mental barrier for me to overcome. The idea that you could just roll up somewhere, set up a tent, and assume you could sleep for a night always seemed very forward. I would worry constantly about ‘being found’ by locals, hiding myself away truly in the middle of nowhere if it came to that, and then jumping at any sound. This attention paid to truly hiding myself is necessary in some places. The US, for example, is not on the whole a welcoming place to wild camp in. Land ownership is very well established and enforced with signs, fences, and people who will question your presence and purpose in an area. Part of the reason I am drawn to touring internationally is that there are ‘cracks’ in land ownership, that is to say places where land ownership is not well enforced, that are perfect for wild camping. It becomes not a question of whether or not you will be found, but rather accepting that you WILL be found, and the person who finds you an overwhelming amount of the time just won’t care. Traffic jam in my campsite. That’s not to say that you can set up a tent anywhere in the Caucasus region. Don’t camp on a farmer’s tilled land without permission. Take care to hide yourself. But also just learn to be OK with the idea that you will be found. Some of my favorite interactions on this trip have been with shepherds who pass through my campsite, leading their sheep through the mountains. Because shepherds need to pass over a lot of land, there are few fences here, and few gates. 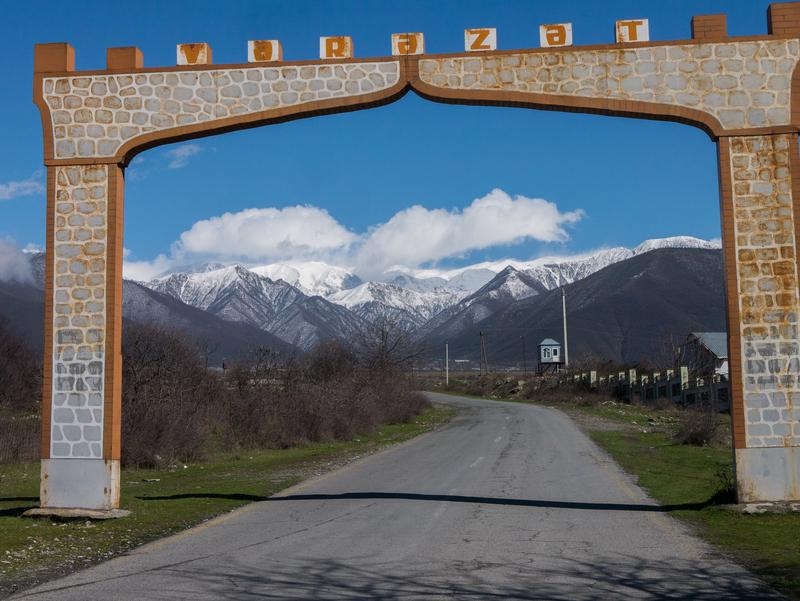 I have found some incredible campsites in the Caucasus region, and there really has been no reason for me to use hotels or guest houses. I had beautiful weather on this stretch, too. Anyways, I continued over the border at Lagodekhi and through the towns of Balaken, Sheki, Gabala, Shamakhi, Qobustan, and finally Baku. 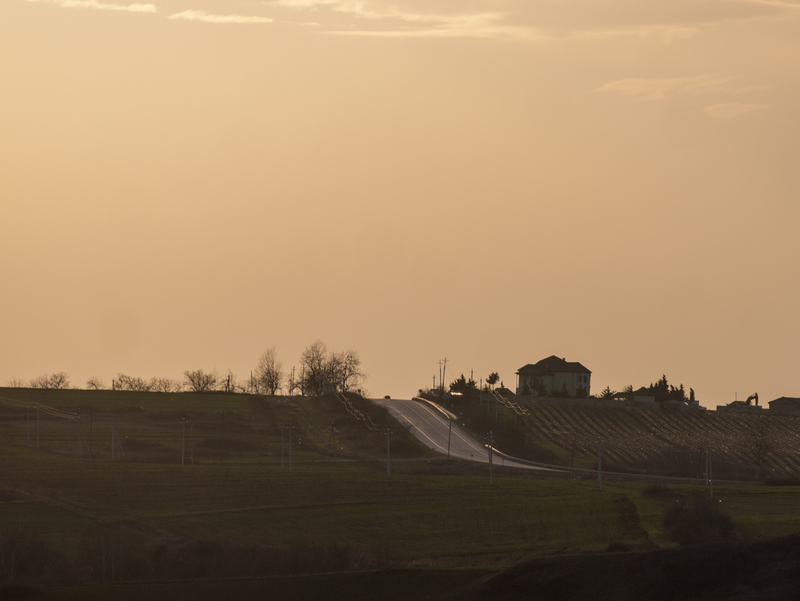 As I moved through the countryside, the scenery changed from leafless deciduous forests to steppe, and finally desert. I caught a massive tailwind on my second to last day into Baku, which was really appreciated until, in an instant, cold winds blew up from the Caspian and turned that nice sunny day into a headwindy nightmare. The traffic gradually increased, in quantity and quality of cars, but never quite reaching the craziness of Georgia. Somewhere a few days outside of Baku, I started having issues with my tires. I had two flats, one on the front and one on the back, probably a result of old tubes. I promptly then ruined one of my tires by walking a flat about 50m to a place to stop and change the tire (lesson learned, don’t walk a flat tire with a loaded bike), and eventually decided that I didn’t like the tires I was riding on anyways. So I got in touch with a shop in Germany and had them send new Schwalbe tires to me in Baku. These tires will have a little less rolling resistance and more durability for the long miles ahead. I had always planned to tweak things in Baku, and I’m honestly glad that this issue forced my hand and made me confront some of the issues that I had with the setup anyways. It would have been easy for me to push through and get stuck somewhere where it wasn’t so easy to get new tires. 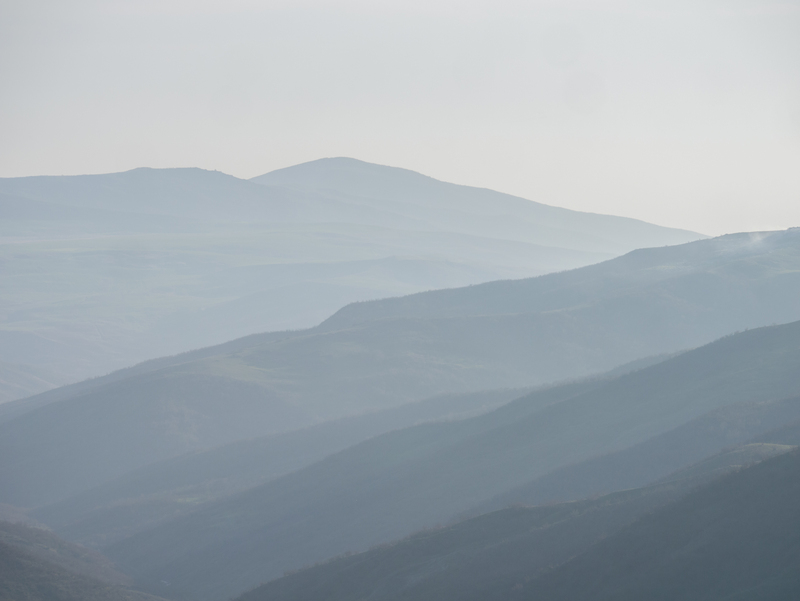 Sunset high in the hills of Azerbaijan. More sunset from an awesome site. So that’s Azerbaijan. A lot of it doesn’t make sense. 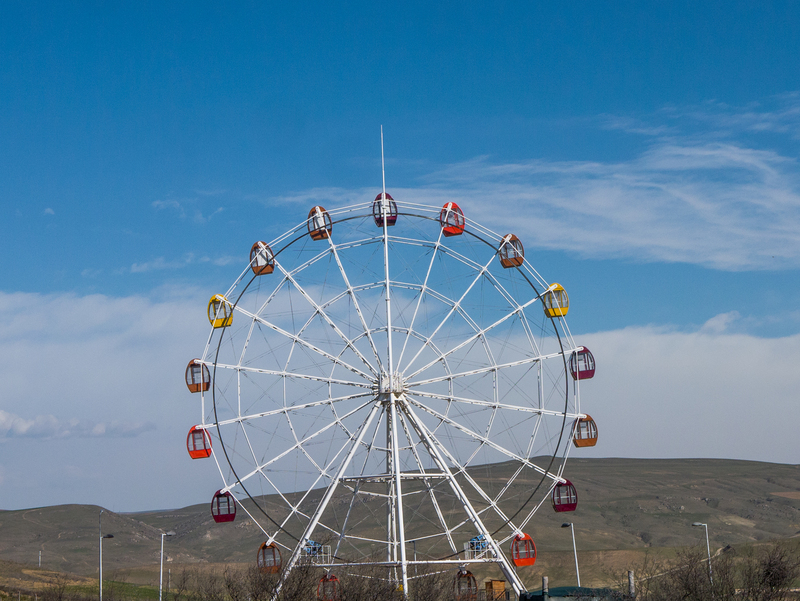 Cows in four lane highways, pictures of the Aliyev’s everywhere, and rampant inequality. Roads that I have to imagine were built according to the Tsar’s Finger principle. But the ride was pleasant, and if you’re into that sort of thing, Baku even has a new branch of Trump Financial Services LLC. If you have some dirty money, I’m sure if you take it down and invest it in a condo, it’ll come out clean. Better do it soon, though, because I hear the business might be facing some troubling headwinds soon. Move over, abandoned theme parks. There’s a new financial king in town. This concludes Leg 1 of my trip. I am at about 850km, and from here it starts to get a little weird. I take a freighter over the Caspian to Kazakhstan, where I have set up a little time trial for myself. About 1000 miles of flat desert, wind in all directions. Time to rip off some miles! Oh, I think I’m moving back to Los Angeles next fall. So there’s that too. Dan and I are fascinated by your amazing trip. We are with you all the way.